Today, existing structures are being redeveloped piecemeal, but during the last major period of regeneration entire swathes of the borough were razed and reconfigured with the stroke of a pen. As elsewhere in London, post-war redevelopment took place initially on bomb sites before spreading to decayed housing stock from the previous century, much of which had been run down as affluent residents fled London for the leafy suburbs. 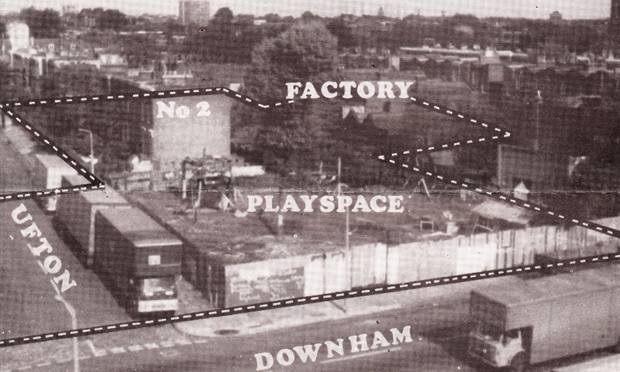 The little pocket of the borough known as De Beauvoir Town experienced life on the knife-edge of this process, and not for the first time in its history. From its origins as a ‘garden square’ masterplan in the early 19th century to the present day, De Beauvoir has known many ups and downs. The elegant symmetry of the original plans, which included five verdant squares, was aborted before the original estate had even been completed. The area has since then been the object of constant architectural and cultural re-editing. Perhaps the greatest threat to the stately streets of this west Hackney neighbourhood occurred in 1960, when local residents fought successfully to overturn a council decision to demolish the original houses and build council flats. Not all of the area escaped the wrecking ball, as the De Beauvoir Estate was built to the south of Downham Road, but the central northern stretch around De Beauvoir and Englefield roads remained intact thanks to the efforts of a dedicated crew of locals, who worked to prevent the Victorian houses from being demolished and restored many of them to their former glory. Own De Beauvoir! is a composite narrative of this effort, part fiction, part oral history, part archival material. The volume falls in two parts. The first – unnumbered – part, which makes up approximately two thirds of the total page extent, is ostensibly the 2005-2006 journal of a De Beauvoir resident who makes his living painting ‘Period Charm Washes’ on houses in ‘the Area’. Like the famous ‘mole man’, William Lyttle, ordered in 2006 to stop digging tunnels under his house in De Beauvoir, the fictitious journal-writer is obsessed with the physicality of the land he inhabits. A central symbolic trope is his oscillation between the physical and political meanings of words such as ‘assembly’, ‘association’ and ‘constitution’. The result is an oblique take on the legal and social construction of a neighbourhood. The final section of the book is made up of extracts of transcribed oral history by 13 individuals who played roles in the efforts to save De Beauvoir Town from demolition in the 1960s and develop it in the 1970s. 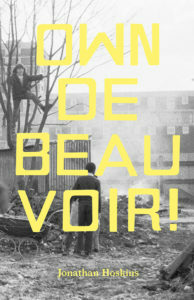 In 1968 two young Times journalists – Robin Young and Stuart Weir – teamed up with renowned architect Graham Parsey to form the De Beauvoir Association, which campaigned for the preservation of De Beauvoir’s housing stock and general ‘debeauvoirishness’. The housing association also bought up numerous dilapidated properties and obtained GLC grants to do them up on behalf of local residents. A community centre and the newsletter De Beaver rounded out the social-capital-making activities of the group. The text of this compact volume is interspersed in both sections with numerous photographs, press cuttings, planning documents and other archival materials from the late 1960s and 1970s, giving a flavour of the cultural composite the area harboured. With workshops and micro-factories jammed up against the elegant wrought-iron clad windows of early Victorian houses, this clutch of streets was and remains an odd mix. The different sections of the book each add their own sense of personality to the physical assemblage seen by the passing observer. The early 19th century novelistic artifice of the found text is apt, given De Beauvoir Town’s origins in 1821. Yet it also has resonance in the present day, when the physical fabric of our borough is once again the object of symbolic struggle via competing narratives. This literary excavation is a testament to the dedication of those who helped make De Beauvoir Town what it is today. Own De Beauvoir! by Jonathan Hoskins, 2017. ISBN: 978 1 5262 0631 2.